A knife that is light, handy and sharp. The curved blade is called Bec d'Oiseau (bird's beak). Being small it lets you work on food in detail to achieve a professional result. 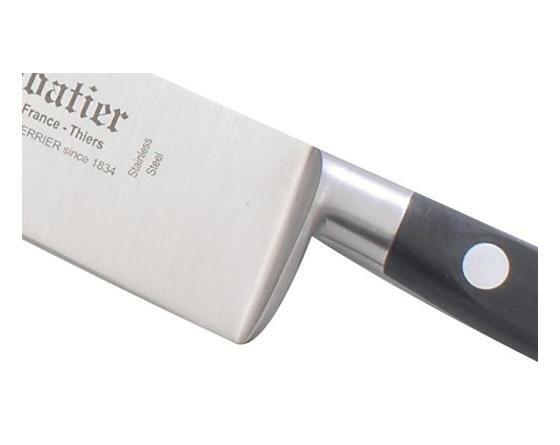 The whole knife is forged in a single mass of stainless steel. The steel Z50C13, Rockwell 54-56 HRC, is tempered, ground and polished crosswise to produce a high-quality tool, great cutting power, cutting hardness and balance. 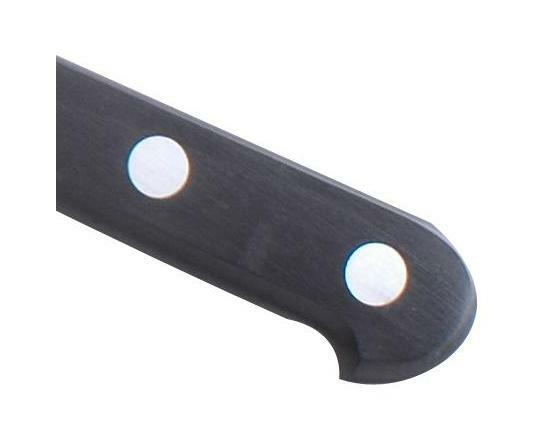 POM handles are manually set and mounted on the tang using three through rivets. 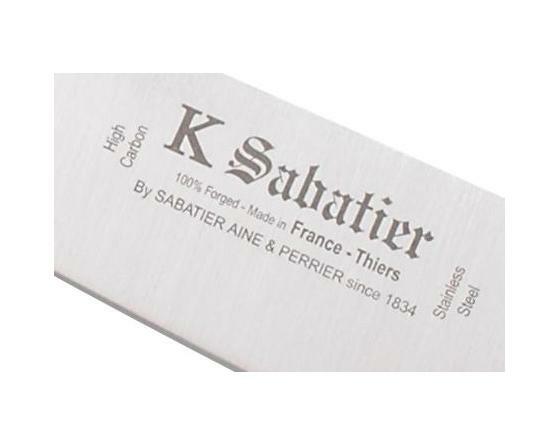 From forging to packaging, we garantee that all our operations are performed in the Thiers region in FRANCE by skilled workers to ensure a professional quality craft finish.